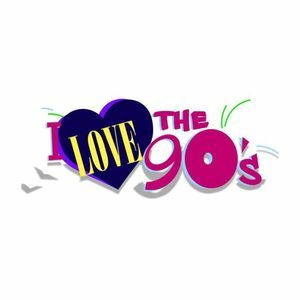 The hugely-successful I LOVE THE '90's now has a permanent home on the Las Vegas Strip! This 90-minute, immersive dance party features a live DJ, nostalgic video content, dancers and more, all taking you back to the decade that brought you grunge, "Friends" and Tamagotchi. A rotating lineup of crowd favorites headlines the Las Vegas shows, including Salt-N-Pepa, Rob Base, All-4-One, En Vogue, Tone Loc, Sugar Ray's Mark McGrath, Coolio, Kid 'n Play, and Dru Hill. Billboard writes... "When you say 'the '90's, IT'S JUST NOSTALGIA. The '90's was an incredible era for music, hip-hop, pop culture -- just everything. PEOPLE WANT TO GO BACK." Rolling Stone declares... "IT FEELS LIKE YOU'RE TAKING PEOPLE BACK TO A TIME IN THEIR LIVES THAT THEY REALLY ENJOYED" Entertainment Weekly hails... "AN ARENA-SIZED DANCE PARTY"